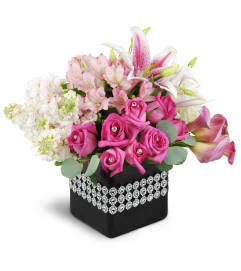 Send your sweetest sentiments with our darling pink arrangement. 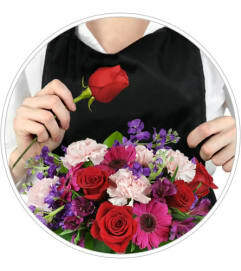 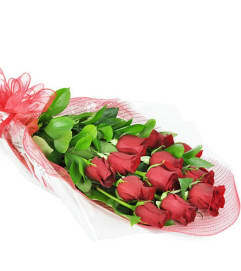 Your sweetheart will be thrilled, and with the reaction you get, you will be too! 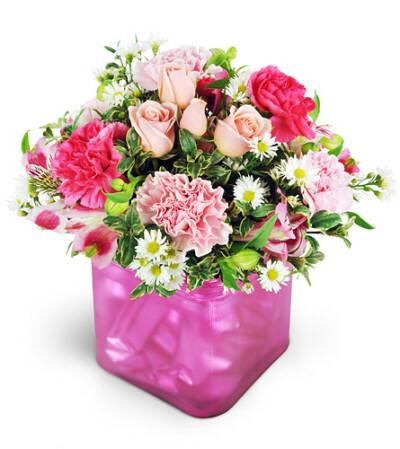 Pink and fuchsia carnations mingle with sweet pink spray roses, pink alstroemeria, and white asters in a modern pink vase.